I was hurt in a car accident, so why was my auto insurance claim denied? After an accident, it may seem clear to you: you’ve got an insurance policy, so you’re covered when you get into an accident. After all, that’s what you’ve been paying for all these years when you didn’t have any accidents—right? Unfortunately, there are often cases where people in your very shoes are denied, and they are left wondering what steps to take next. When your claim has been denied after an accident, it is probably for one of two reasons. 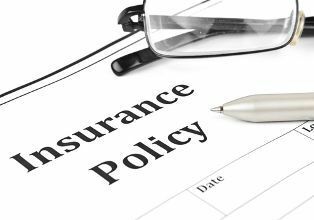 Most frequently, it is an error or omission on the part of the insured. Sometimes the auto insurance company is operating in bad faith or has made a mistake, leaving you in a potentially devastating situation. In either case, it is worth looking into the matter, and potentially seeking legal help. In a perfect world, your auto insurance company trusts you fully and covers your legitimate claims without a second thought. While fraudulent claims aren’t terribly common, many insurance adjusters are on the hunt, and can be a little overzealous in their suspicions—but sometimes, claimants make mistakes, too. One of the most common reasons accident claims are denied is that the damage that you are claiming simply is not covered. This could be because your policy does not cover the type of damage you incurred, or because you missed a payment and your coverage lapsed. Either way, this is a very challenging matter to dispute, unless your damage should have been covered in the first place. Another common reason claims are denied is because the claimant failed to seek prompt medical attention, or there are complications such as preexisting medical conditions. Situations like these can muddy the waters of successful claims, and you may want to seek legal advice if this seems to be the case. If you are confident that you followed all the rules and that your claim is legitimate, there is also the possibility that your insurance company made a mistake or is operating in bad faith—in either scenario, it is important that you seek the advice of a skilled auto accident attorney to ensure that your rights are protected. If you’d like to discuss your claim further, contact accident attorney Chris Hudson today to schedule your free consultation. Why Hire an Augusta Attorney for Your Accident Case?